Thank you so much for your support and encouragement of Don Johnson Evangelistic Ministries over the past year! It has definitely been one to remember, filled with great highlights and serious challenges. On the highlight side, I saw two long journeys reach their culmination as I entered the Catholic Church in April and released the movie Convinced this fall! Both were incredibly joyous events for me, and I praise God for his grace and faithfulness in bringing them about! I am thrilled to be Catholic, and am excited to see what God is doing and will do with the film. 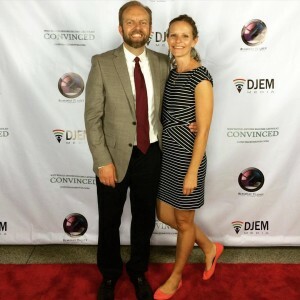 Don and Kendra at the premiere of Convinced in October. Indeed, I have been overwhelmed by the positive response the movie has been generating. Not only are people being encouraged and challenged personally in their walk with Jesus, but they are using the film to reach others. I’ve heard from several churches who have used it in their RCIA groups to great effect and even hosted screenings and provided DVDs for their entire congregation as a way to inspire and educate the parish and impact the community. You can get more information about Convinced by clicking here. Another highlight was a return to the radio airwaves. 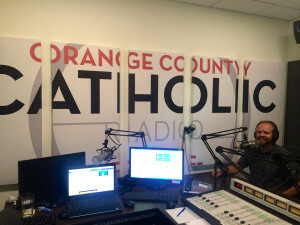 Through an amazing series of providential “coincidences,” I am now broadcasting The Don Johnson Show on Immaculate Heart Radio every week, as well as substitute hosting for several other shows on the network. I’ve always enjoyed talking with people about the big questions of life and talk radio is the perfect medium for reaching the culture in this way. We are currently working on expanding the reach of the show. You can learn more, as well as subscribe to the podcast, by clicking here. As for challenges, we expected that DJEM would lose much of its monthly financial support when I became Catholic and that has turned out to be the case. We are now operating on a budget that is about 35 percent of what it was. Again, we expected this and tried to plan as best we could for it, but I can’t say it hasn’t been difficult. I also look forward to expanding my speaking schedule. If you are interested in having me come to your community, you can learn more by clicking here. 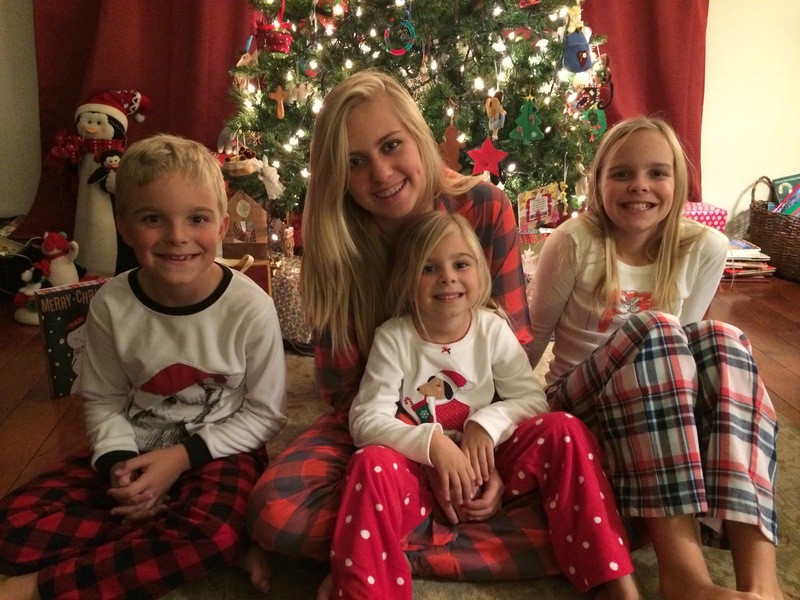 Merry Christmas and Happy New Year from the Johnson kids!